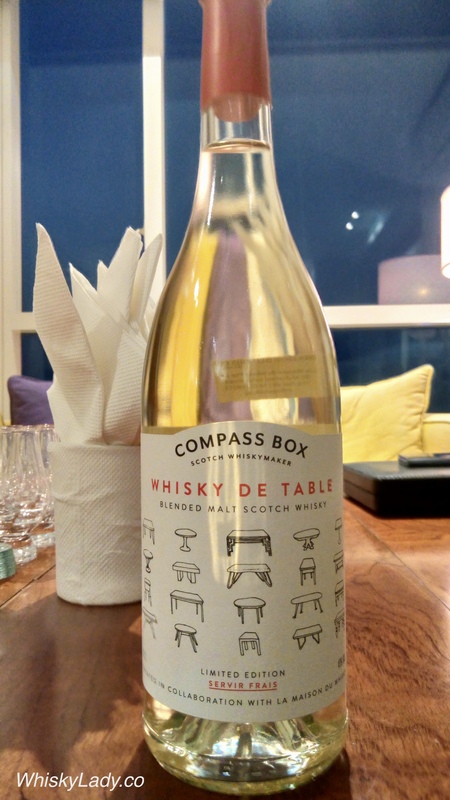 First up in our Compass Box quartet was a chilled bottle of Whisky de Table, blended for La Maison du Whisky to enjoy like a glass of wine with dinner. So what did we think? For some, the nose was more interesting than the palate. More than one remarked on how much it reminded them of sipping on a crisp bottle of white wine. While not complex, chilled it is refreshing, enjoyable and far too easy to drink… exactly what one would want in a whisky with a light repast. What more do we know about this whisky? It is a blend of Clyneslish, Caol Ila, Benrinnes and Linkwood, aged in American oak barrels from Buffalo Trace. 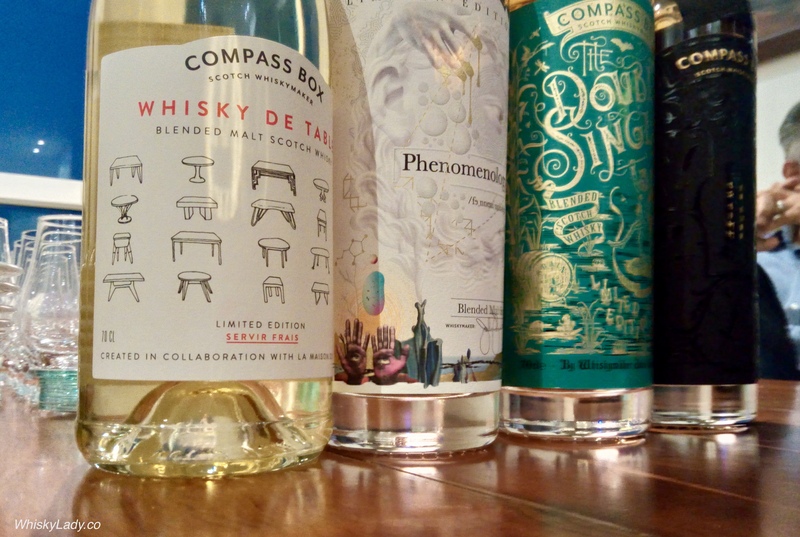 This entry was posted in Blends, Scotland and tagged Compass Box, Whisky de Table by Carissa Hickling. Bookmark the permalink.